Julia graduated in International Business at Pompeu Fabra University in Barcelona, Spain. She has gained the necessary experience in the business field as an Assistant to the Sales Manager for Cloud Solutions at IBM Brussels (Belgium) and as a Trainee for the Sales Transformation & Trade Marketing Retail department at PepsiCo Barcelona (Spain). 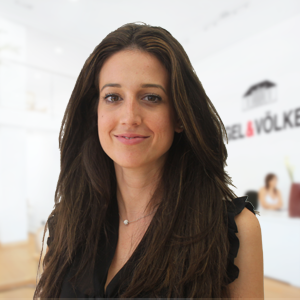 Julia joined Ramzi and his Team at Engel & Völkers in October 2015. She has learned how to work and operate all the different EV systems and tools and has mastered the skills to train our interns and office staff the procedures and platforms needed for our offices. Julia also supports the creation of marketing materials and campaigns, maintenance of our website, social media and office administration.